Munich, September 2, 2016 (bsh) – If the innovation managers at BSH Hausgeräte GmbH have their way, Mykie will in future be the smart and interactive partner in the kitchen. 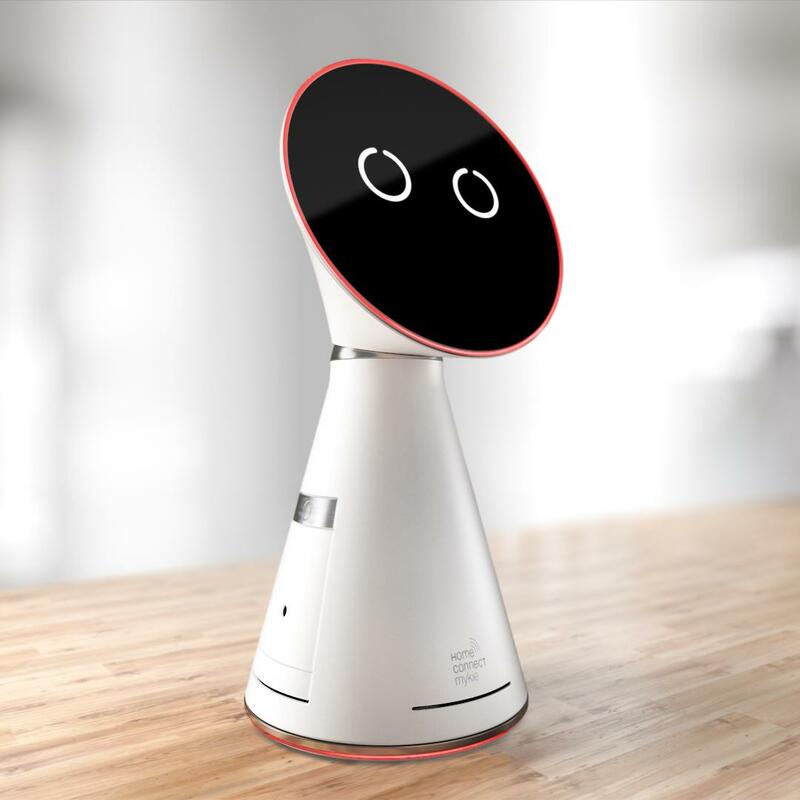 In today's opening keynote address at IFA 2016 in Berlin, CEO Dr. Karsten Ottenberg presented the concept of a personal assistant: Connected and voice-controlled, it provides a fascinating kitchen experience. That's because Mykie not only communicates with his user through facial expressions, movement and speech, but also provides whole new possibilities for bringing people together to share joint experiences in the kitchen. And he also brings his users together virtually, if they so desire with cooking together or sharing recipe ideas becoming child's play. "Mykie stands for 'my kitchen elf' – a personal assistant that provides lively support for everyday needs as a kitchen specialist," is how Dr. Kai Grassie, Head of Corporate Innovation at BSH Hausgeräte GmbH, describes the concept: "But we still have a good deal of work ahead of us before Mykie can become a truly interactive partner in the kitchen." When communicating with the user, Mykie uses his voice and head movements, as well as characteristic facial expressions and varying light signals to express a wide range of emotions and signal that he's paying attention. Mykie's integrated camera allows people to share their cooking experiences with each other even when they're at completely different locations. 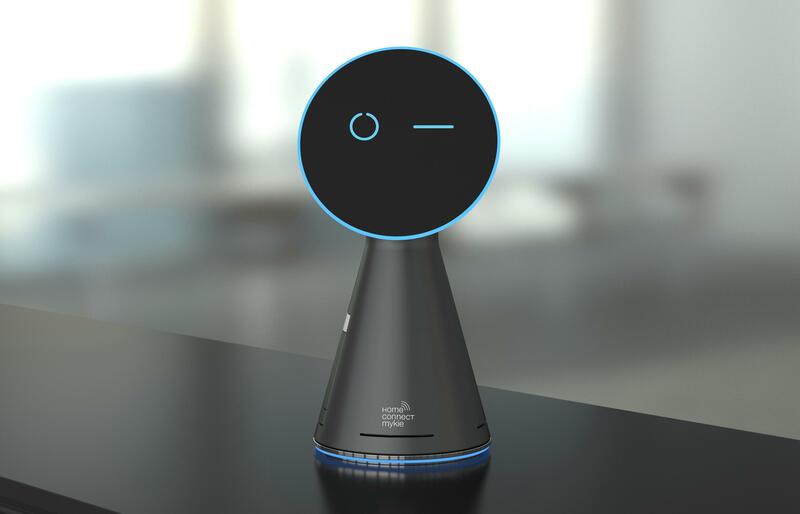 Mykie will make it easy to bring his users together and allow them to cook together via projection technology and real-time communication capabilities – regardless of time and place. Mykie stands for maximum flexibility and independence, offering quick and easy answers to questions and meeting spontaneous wishes that arise in life in the kitchen. Mykie opens up fascinating new opportunities for people to liven up their daily cooking experience. They can directly access music, videos or other entertainment offerings available online by voice control. Mykie even answers questions about the weather or the latest stock market prices. Anyone looking for fast and uncomplicated support for cooking will receive simple and structured instructions from Mykie. Alternatively, additional services such as recipe ideas or suggestions from online cooking shows can also be called up. If ingredients are still missing, they can be ordered online via Mykie and delivered directly. Mykie sends the recommended settings from the recipe straight to the connected appliances. Mykie provides the user with convenient access to all the benefits of the digital Home Connect ecosystem. The fully connected kitchen, irrespective of the appliance brand, can be controlled via the app. The next steps in the development of the personal assistant will now focus on the further integration of attractive functions and services from partners. Intensive market studies serve as the basis for this with a clear focus on delivering real added value to the consumer.